HomeE.V.P.Spirit tells me how I will die. Mental questions get answered. Spirit tells me how I will die. Mental questions get answered. 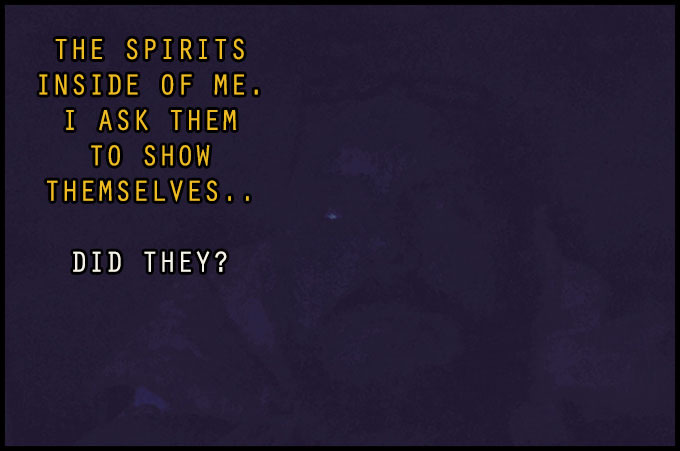 Over the years I have recorded a few responses via spirit box (and one via EVP) where they tell me to “speak with my mind and not my mouth”. I believe they speak telepathically and somehow use electricity to form words and phrases. Not sure how it all works, but it does work. One thing I have noticed is that I have been getting progressively better and clearer responses from the other side over the past six months. Clearer voices, direct replies and full phrases coming through. 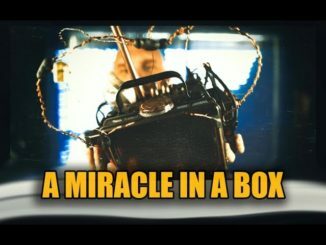 I have proven time and time again that it is impossible to be radio signals and yes, that I am indeed a spirit magnet. How this happened to me is a mystery but I do know I felt compelled to pursue this field with all of my heart and soul. I have been experimenting with all kinds of things lately and finding ways to close that gap even further between us and them. 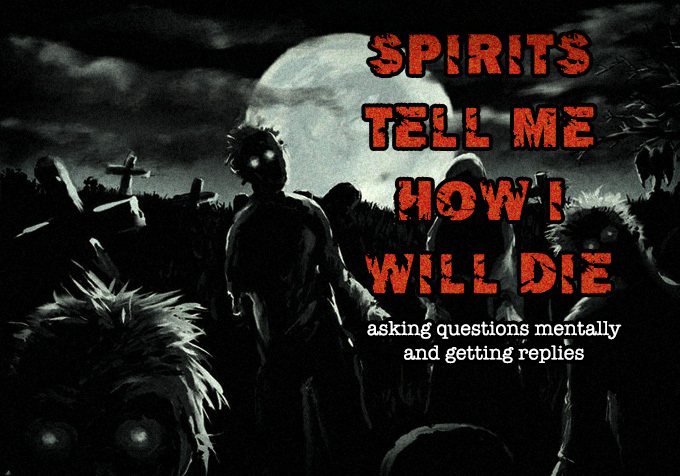 I have said before that I have no way to prove what is actually coming through and leaving messages and all I can do is give my opinion, and my opinion is that it is indeed spirits and lost souls. When I do sessions I will sometimes ask what they are. Never have I gotten “alien” but have on many occasions gotten “angels”, “fallen angels”, “spirit”, “ghosts” and yes, even “Demon”. None of it scares me, not even 0.1%. I feel blessed and lucky to be able to do what I do and even if I go a month without doing anything, they are always there to speak to me when I start back up. Even when I took a three-month break from it, they were still there. I have been told by them that this is for life, and will never go away. I will always feel them, always hear them and always receive messages from them. Who told me this? They did. It is all a mystery as we still do not know much more than we used to. All I know is that I reliably get messages from them via devices and even without using devices. The messages are sometimes cryptic, and sometimes very direct and intelligent. Sometimes they make no sense at all. One thing they will never answer though are details..the things we WANT to know. I believe we are not supposed to know yet we will find out when we die of course. In any case, today I am posting another video for you guys, another experimental video. I decided to pull out my Standard Mini Box and ask questions of them MENTALLY..as in, in my mind. I would not speak, just concentrate on the question and see if there would be a reply. To my surprise, it worked extremely well. 75% of my questions were answered. 25% were not. What you are about to watch are my 1st two experiments trying this, and the answered questions. One of the questions I thought of mentally was “do you know how I will die”. To many, this would be a creepy question to answer, and if answered, it could really worry some. I did not really expect to get a reply but when they replied with “CANCER” I knew they directly answered my question. Does this creep me out? No, not at all. We all die and a HUGE percentage of us die from Cancer. It’s normal, and expected. I have told friends and family that I would die from a Cancer tumor for many years. I do not fear death at all as i know, from doing this kind of work, that we go on in some way after we die here on this earth. Living here is a learning experience for us (in my opinion) and I plan to always make the best of it. So enjoy this video..at the end I included some real Class A EVP (without using any box or device) from Pioneer Village in Phoenix AZ. I went there this morning and recorded maybe 4 minutes of footage, not even trying to get EVP, yet as always, I picked up EVP. NO ONE else was there, just us and the replies were startling as I did not expect them to be so clear. 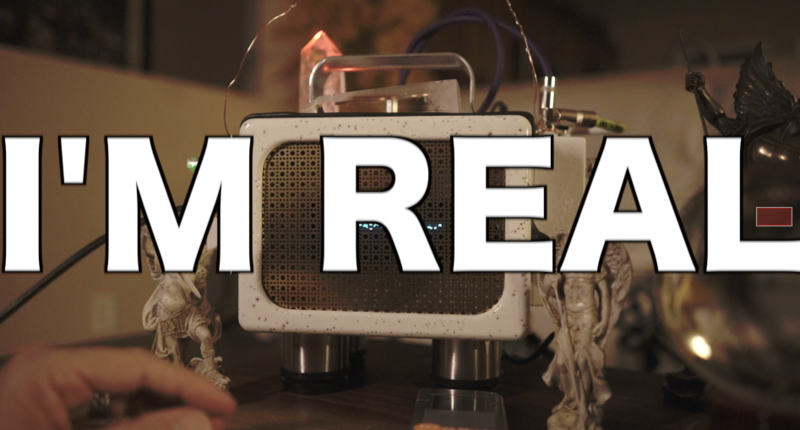 So sit back, relax, dim the lights and enjoy this newest spirit communication video. December 26, 2016 Apparition, Evidence, Featured, Ghost, Manifestation, Photos Comments Off on I ask the spirits who say they are in me to show themselves..did they?